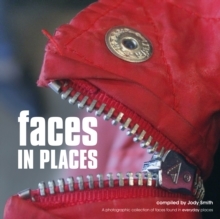 Faces in places began its meteoric rise to fame as an internet blog that celebrated a collection of quirky, hilarious, surprising and madcap images captured by ordinary folk with an eye for the bizarre: the ability to see human-like faces in everyday objects. Now the blog has made the leap from screen to printed page. Marvel at this gallery of anthropomorphic faces that express a wealth of human emotion - love, hate, shock, curiosity, boredom, frivolity, surprise, intrigue, - in many forms, whether they are simple household gadgets and appliances, items of clothing, signs, trees, plants, rocks, automobiles, bikes, buildings or boxes. More than 100 contributors showcase their unusual photographs that will change the way you see the world around you. This book will also change the world for the better for many deprived and exploited children: a percentage of the proceeds of each book sold will be donated to the 'Hope for Children' charity.